I love this recipe! 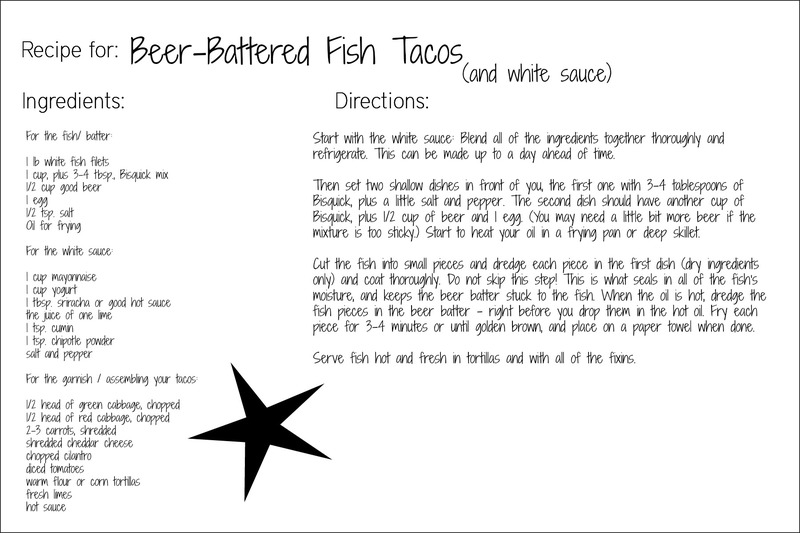 I had no idea beer batter was so easy. 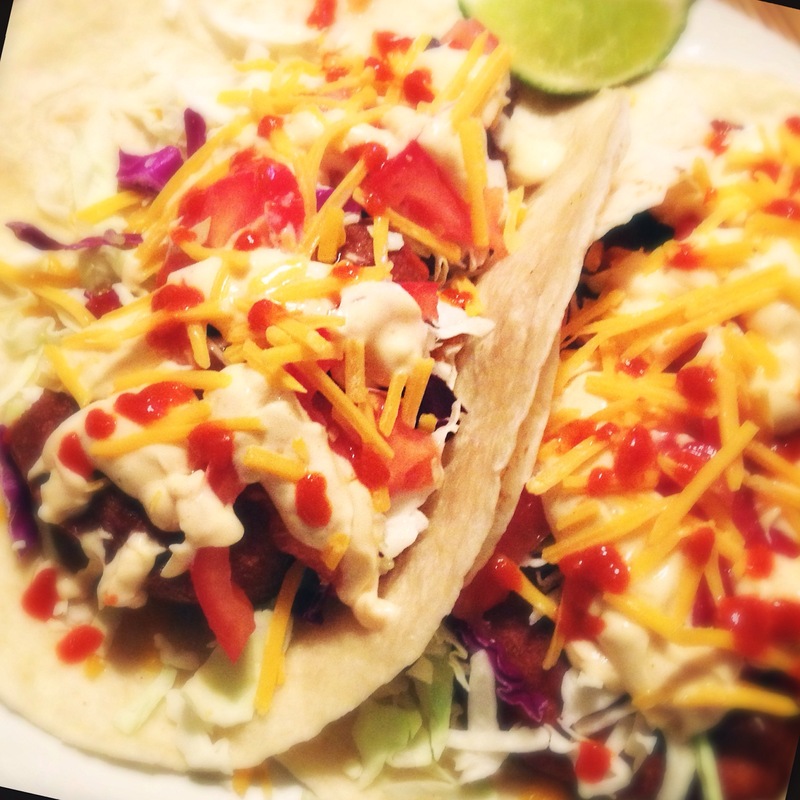 Literally … just four simple ingredients for the batter, a few more for the perfect white sauce, a little bit of cabbage and cheese and all of the fixins, and you’re on your way to Taco Heaven. 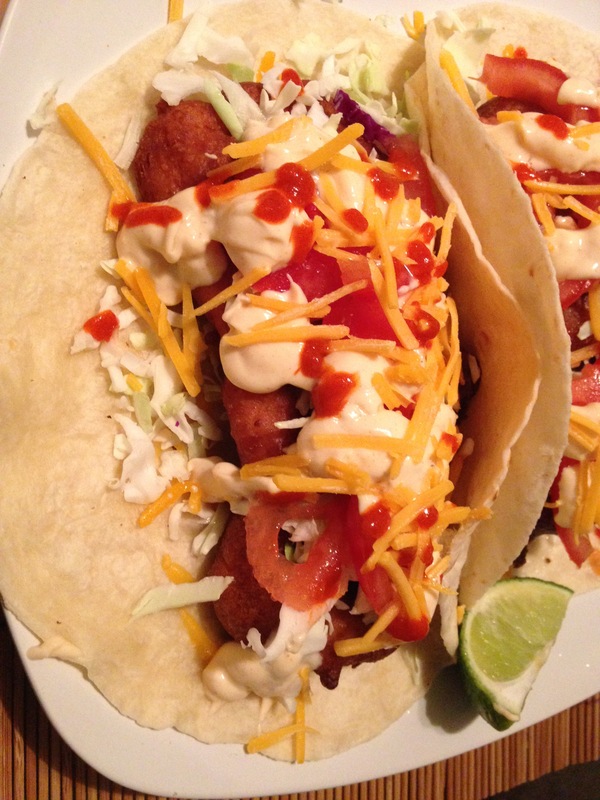 Residing in San Diego, it’s pretty easy for me to find a good fish taco, but frankly, I had always assumed that the delicate-yet-heavy-duty coating most people use for their fried fish tacos was way more complicated. And the white sauce HAS to be more than just mayo and yogurt, right? Not really. Start with the white sauce: Blend all of the ingredients together thoroughly and refrigerate. This can be made up to a day ahead of time. Start to heat your oil in a frying pan or deep skillet. 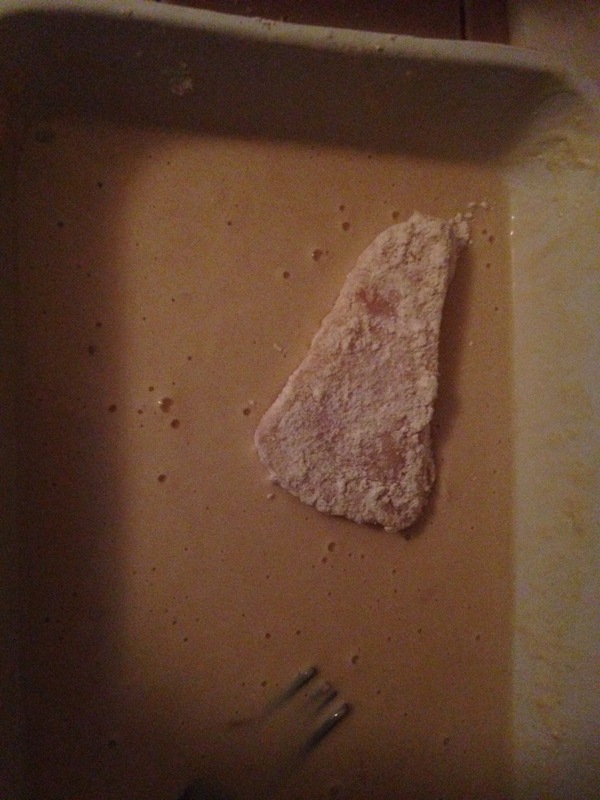 Cut the fish into small pieces and dredge each piece in the first dish (dry ingredients only) and coat thoroughly. Do not skip this step! This is what seals in all of the fish’s moisture, and keeps the beer batter stuck to the fish. When the oil is hot, dredge the fish pieces in the beer batter – right before you drop them in the hot oil. Fry each piece for 3-4 minutes or until golden brown, and place on a paper towel when done. 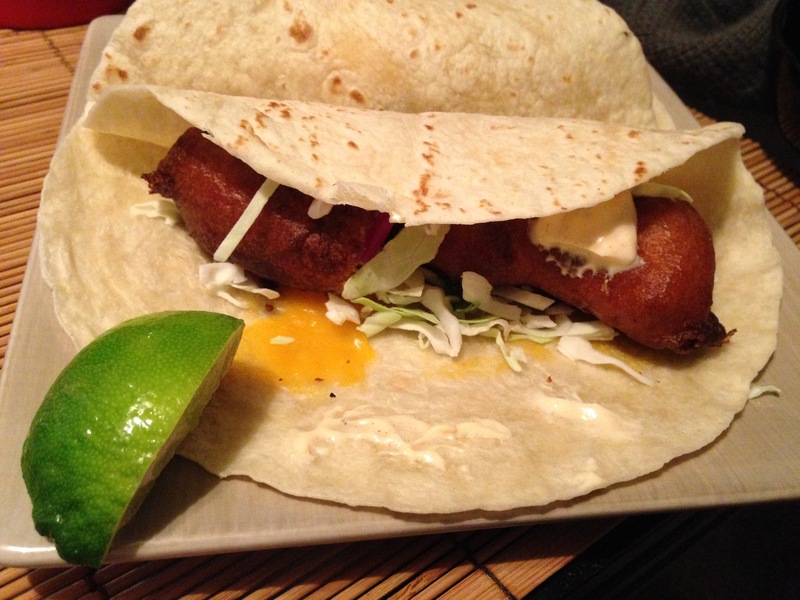 Serve fish hot and fresh in tortillas and with all of the fixins.